I just saw the news on TV and weirdly I thought of you! I loved him. I had his photos all over my wall and me and my friend spent a summer watching Licence to Drive over and over and over again! Poor Haim. He was in some great films from my youth and to see his life end like this is very tragic. I did a post over the summer for a Lost Boys 2 review where I mentioned how Haim was in that film for a brief minute but some of his scenes were cut due to his behavior on the set, as seen on "The Two Coreys". He definitely seemed like he was fighting his demons in his trailer and refused to come out. When he did come out, you knew he wasn't all there even though he claimed to be clean and ready for a career comeback. Very, very sad. I hadn't seen the news till now, and was shocked. He was still pretty young. Just sad. Gosh,I have just heard the news now, and I am totally stunned! It is such a shame that these kids get into drugs and other things. I totally loved "Lost Boys" and I think that this was one of the first video's that I bought! Wow! Great post. Wow so sad. I remember Silver Bullet. I really liked that movie with him in his wheelchair. I also loved both Corey's in License to Drive. Condolences to friends, family and fans. It was so sad to the the Corey's break up.... Feldman just wanted Haim to get clean.... I remember Feldman telling Haim that he wouldn't talk to him anymore if he decided to continue using drugs, and apparently Feldman had stuck to his guns. Poor Corey, I was sad to hear the news. Thanks everyone for your kind words and thoughts. Very touching tribute Ally! Wow. I did like him in all the mentioned movies. Though I also thought he was decent in the early 90s classics – Fast Getaway1 & 2. Copyboy don't get me wrong. It's not that I disliked the adult Corey, I just strayed a bit due to my personal interests at that time. I'm very sad today. Truly am. I was really hoping he could turn his life around after the Feldman told him to get off drugs if he wanted to remain talking. It is a sad day today! I thought of you this morning and just knew you would write. I did not know he was Lucas. I loved that movie!!! Why did he die - they say no drugs? Huh. It is so sad to see people cutting their lives short like Haim and Brittany Murphy who died last year. 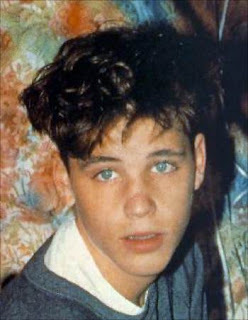 I remember really enjoying Corey Haim on the show the Two Coreys, but I wondered about him then. I've been thrilled that Robert Downey Jr. has managed to recover enough to revive his career in a big way but you just still never know with those who started their addictions young if it is going to rear it's ugly head again, I hope not. ally, this made me cry. what a great piece. i hope this gets seen by others than just the ones who read your blog. this is something EVERYONE needs to read. AS a die-hard Corey Ham fan, I was saddened by the news. I too loved him in his early years...he was almost like a Robert Pattinson of today in his fame and notoriety. I am sad that he chose the path that he did, but he will always be in my heart as my childhood celebrity crush, and a great actor for his time.